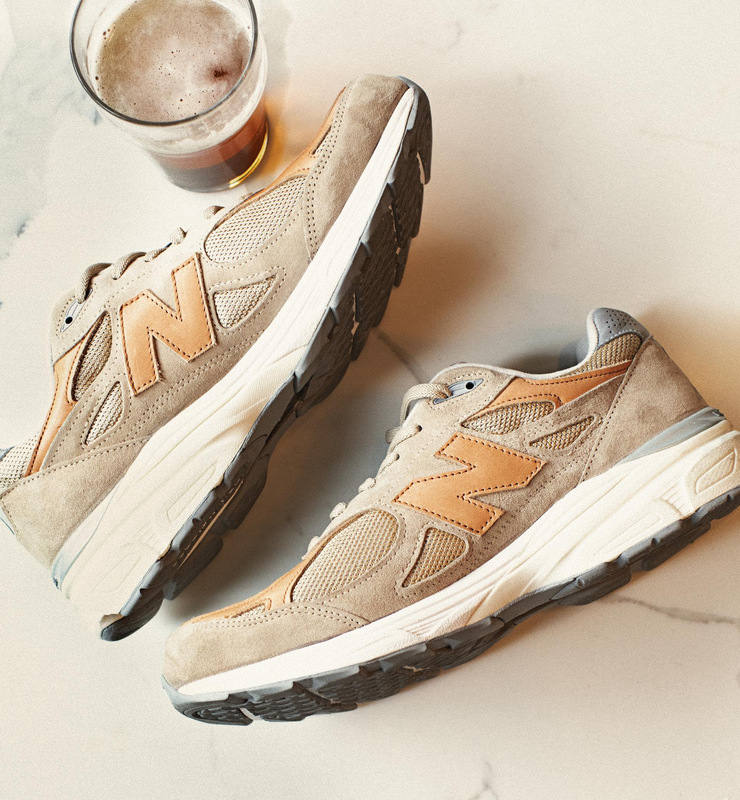 Todd Snyder x New Balance Introduce the Dark Ale 990v3 | RESPECT. The Todd Snyder x New Balance partnership continues with another full-bodied, limited-edition collaboration. The New Balance 990 series was first launched in 1982 to develop running shoes with the perfect balance of flexibility, support and comfort. They are as committed to performance and durability today as they were then. Todd Snyder lends his taste, artistry and characteristic tongue-in-cheek humor to this long-standing tradition. Made in the USA and crafted with vegetable tanned leather, these running shoes age well. The chemical-free tanning process produces a patina that deepens with natural hues as time passes. Crafted with buttery beige suede and micro-mesh fabric, the design is a perfect union of modern innovation and the traditions of classic cobbling. Lightweight and practical, the design also incorporates a carbon fiber spring plate and innovated Encap technology for unrivaled bounce, support and cushion. The Todd Snyder nod to timeless good taste? That’s on the house. Bottom’s up!